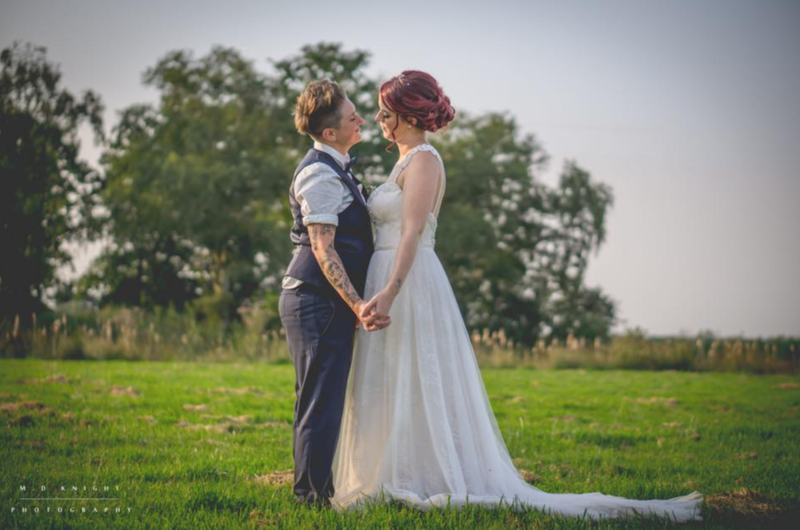 I had the absolute joy of working with two amazing ladies this summer to create a wedding day that truly reflected them both and their commitment to each other. They had already picked their venue when I started working with with them so we worked together to create a day that was exactly how they wanted. My lovely couple picked Hall Farm in Horning for their venue. 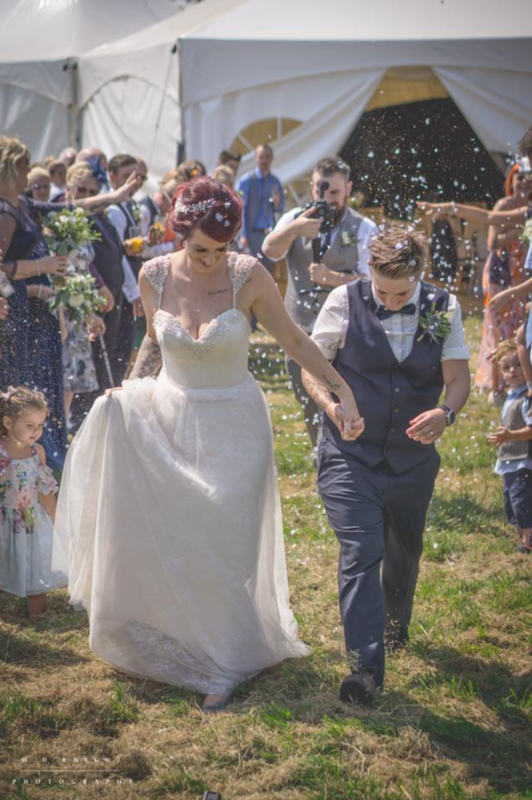 Hall Farm is a truly unique venue, you hire it for the whole weekend so you can really make the most of celebrating with all your family and friends. There is a selection of self-catering cottages all on site which can sleep up to 52 guests. My couple had booked the whole venue so had complete exclusive use of all the accommodation, the barn and the outside space as well. 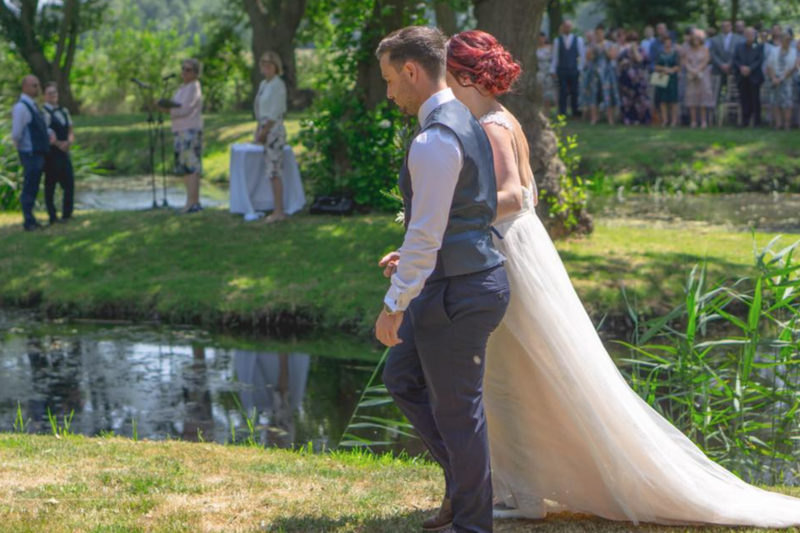 The outside space consisted of a large meadow which would be used for their marquee and a secluded lake surrounded by woodland which would be for their ceremony. 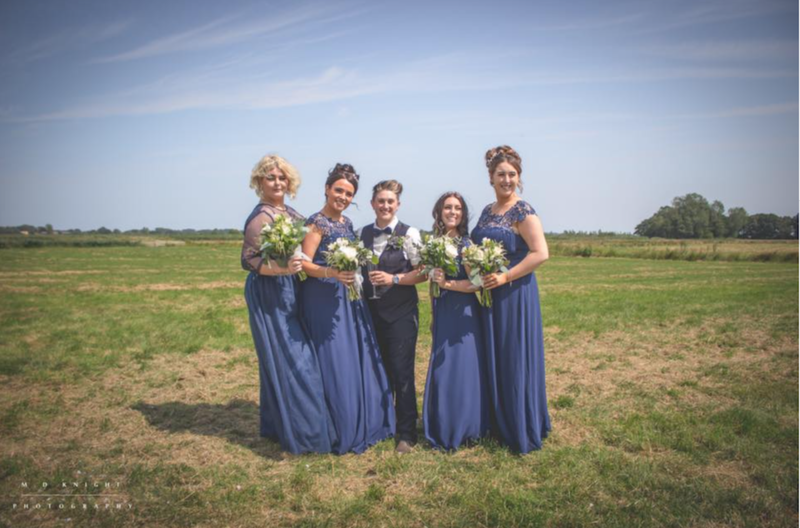 Having my involvement so early on in their plans meant that we were able to discuss all the brides’ ideas and seamlessly incorporate them into an amazing day that would logistically work for all the suppliers involved. The wedding was to be held on an island on the lake with the official signing of the register to be back at the licensed Barn. We needed to consider the timings this would take and make sure that the guests were all aware they should remain by the lake for the couple’s official return as Mrs and Mrs. We then had to arrange some logistics around moving furniture and setting suppliers up in the marquee within a specific time frame. Again, all of this was made so much easier with no surprises given my experienced input. 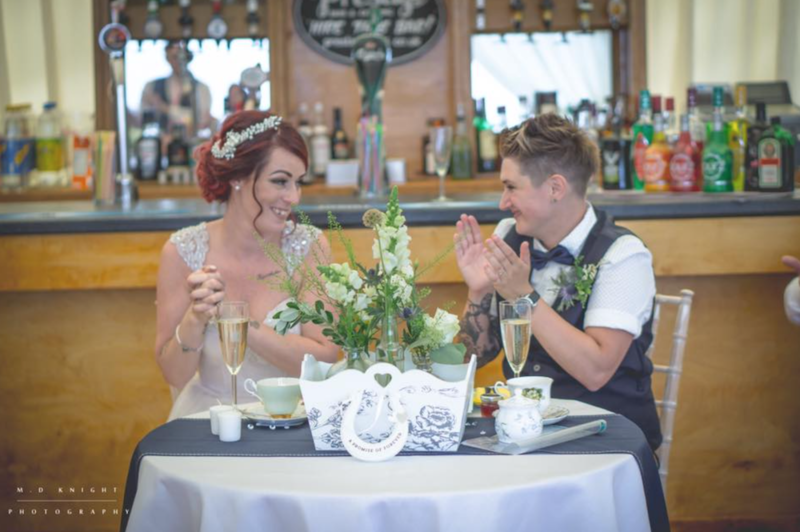 There were also various logistical considerations for the photographer, the bar, the music and the catering team which all needed to be woven into the plans for the day. Again, with foresight and preparation it all worked perfectly. 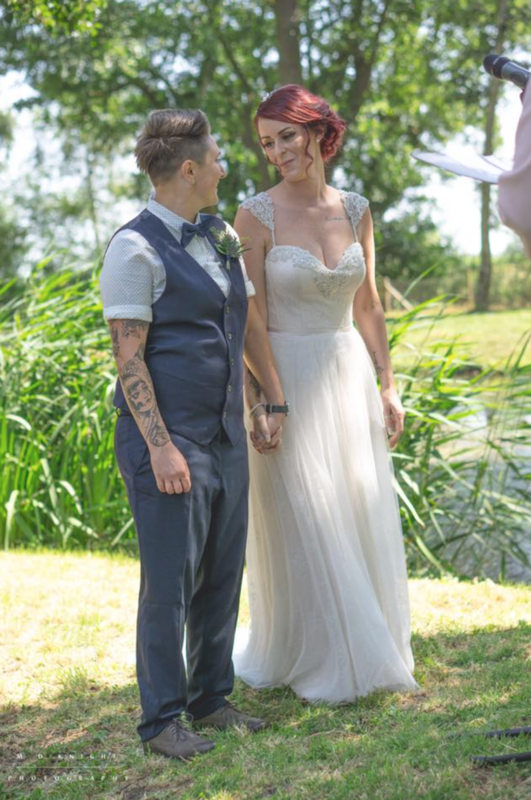 It was my couples absolute dream to get married outside and luckily with the incredibly warm weather we had this was not a problem although it did throw up other concerns such as keeping the guests shaded and hydrated whilst they were outside for the ceremony and for the reception drinks. 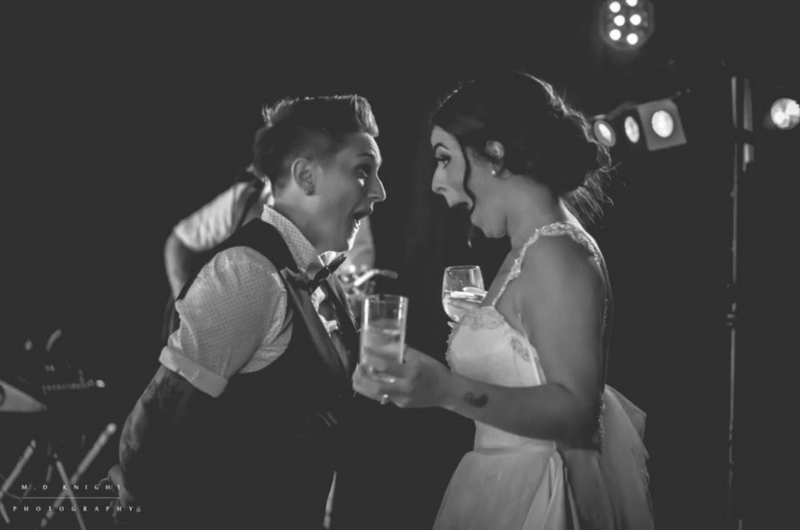 I often worry that brides and grooms forget about keeping their guests comfortable and I think it is so important to make sure they are not too hot, not too cold, fed and watered properly and regularly, otherwise they will flag, get ‘hangry’ and generally not have the best possible time! The day itself went absolutely brilliantly! These ladies were surrounded by the best bunch of people that supported them and really made sure their day was amazing! 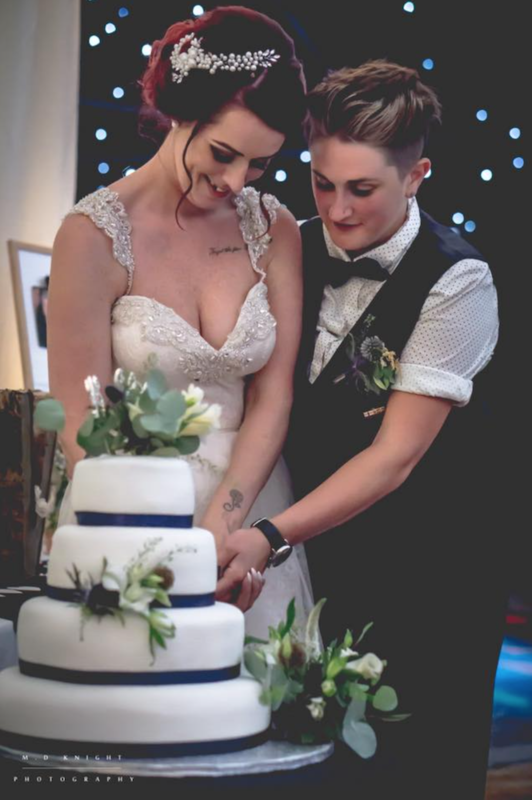 It was an absolute dream working with these two, not only were they the loveliest people, they completely took on board my advice so that together we could bring their wedding day dreams into reality. If anyone is looking for a blank canvas, weekend wedding venue then certainly look up Hall Farm , not only is it super picturesque but Hannah is awesome to work with. 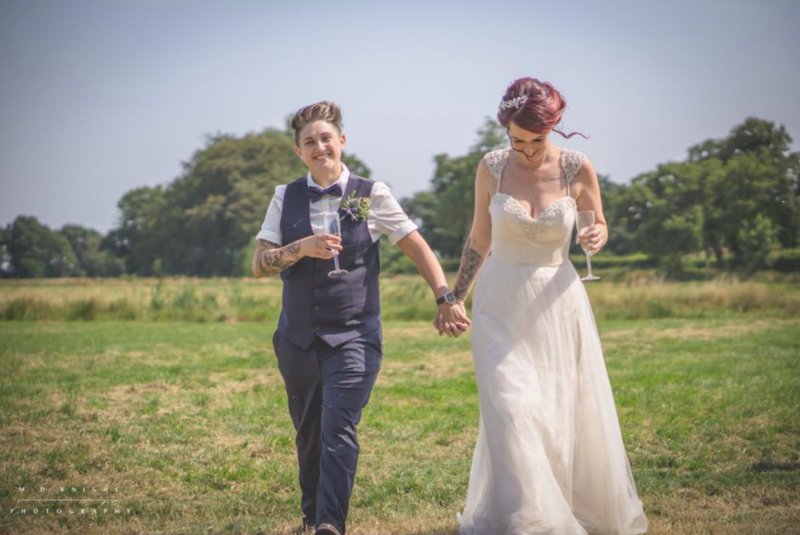 It was a massive privilege being such a special part of this wedding! Congratulations again lovely ladies, I simply can’t say enough positive words about you both- you are amazing!! Evening Food: IB the Chippy.